Just one patient encounter can generate hundreds of rows of data in a healthcare organization’s source systems spanning nearly every area,” remarks Dan Burton, CEO of Health Catalyst. Healthcare organizations today are inundated with data from diverse sources such as patient records, co-morbidity assessments, and other variables in the scientific flow. All this patient health data needs to undergo massive transformation to be integrated into an enterprise data model. Additionally, population health management has undergone a notable transformation followed by an unprecedented adoption of enterprise data warehouse (EDW) platforms that support reliable and repeatable reporting and analysis of healthcare data. Founded by a team of healthcare veterans possessing deep domain expertise, Utah-based Health Catalyst specializes in data warehousing, analytics, and outcomes-improvement, allowing healthcare organizations to perform clinical, financial, and operational reporting and analysis for accountable care. The firm’s outcomes-improvement approach entails three key components—keeping current on best practices, measuring the current care provided and implementing enterprise-wide change through adoption of their analytics system. Health Catalyst’s product portfolio is a combination of sophisticated analytics applications and one-of-a-kind warehousing architecture that employs a just-in-time approach to data binding to resolve the problems encountered while using traditional data warehousing methodologies. The Health Catalyst Analytics Platform is a unique, metadata driven ETL engine that extracts data from a hospital’s source systems and gathers it into Health Catalyst’s Late-Binding Data Warehouse and binds it at the right time and right place. “The rapidly deployable Late- Binding Healthcare Data Warehousing Platform serves as the cornerstone for the entire range of Health Catalyst applications,” delineates Burton. Health Catalyst’s Late Binding Data Warehousing and Analytics Platform has allowed their existing customers to substantiate millions of dollars in cost savings along with major improvements in life-saving quality improvements. With patients using online provider reviews to make care decisions, increased transparency has turned out to be a crucial element for the hospitals to incorporate while developing strategies that address patient satisfaction. In one of the instances, Health Catalyst helped one of its clients, a large hospital with increasing transparency in its patient review process. A major component of this process involved the provision for physician star ratings by the patients on the hospital’s official website, with patient survey data sourced from Health Catalyst’s Analytics Platform. The overall goal of a healthcare institution when leveraging historical patient data is to improve the current patient outcomes and predictive analytics has emerged as a powerful tool in this regard. 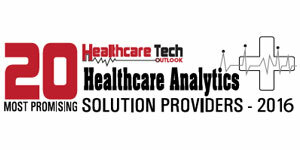 Health Catalyst’s predictive analytics solutions are furthering the initiative of healthcare institutions for clinical event prediction and subsequent intervention. The company’s expertise in developing prediction models with the help of its EDW platform is crucial to gathering the rich data sets necessary for training and implementing predictors. Ongoing efforts include classification models for a generalized predictor of hospital readmissions, length of stay, and clustering of patient outcomes. With internal access to millions of de-identified hospital records in both the inpatient and outpatient settings, Health Catalyst aggregates and analyzes this training data to address the predictive analytics demands of its clients and site customization. With an ever-expanding customer base and a repertoire of industry recognized solutions, Healthcare Analytics is poised for a significant market expansion within a short time-span. The company’s client base extends to over 250 hospitals, 3000 clinics, and 70 million patients across America. “Health Catalyst is proud that many of our nation’s most prestigious and forward-looking health systems have selected us as their partner to help deliver the improved quality and lower costs required to thrive in our evolving healthcare environment,” concludes Burton.